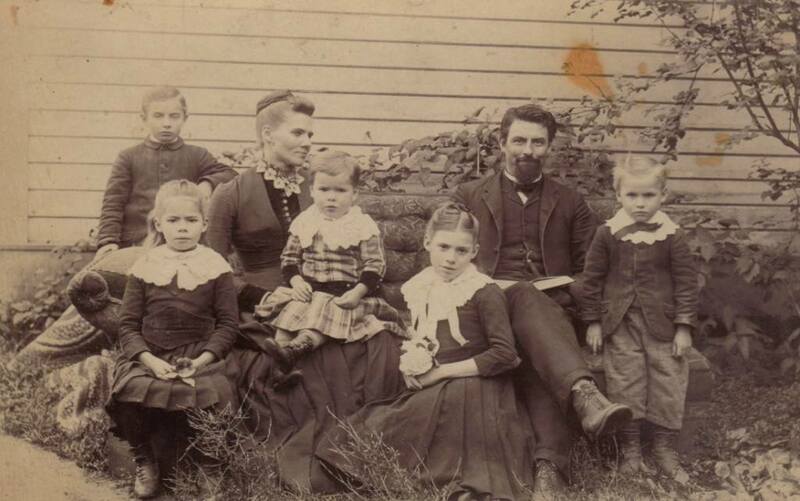 Comments: Spinning (Nee: ) | Sumner WA WA | 1851-1900 | Comments: This is a family portrait of the Frederick Whitworth Spinning Family taken about 1888 in Sumner (It was Slaughter at the time), Washington. Front Row (L to R): Effie Spinning, Buell F. Spinning, Mary "May" Spinning, Otis Drake Spinning. Back Row (L to R): William E. Spinning, Elma Adelyn Baker Spinning, Frederick Whitworth Spinning.